Focuses on the the interactive communication processes that occur during the retrieval of information by involving all the major participants in IR, i.e. the user, the intermediary, and the IR system. The aims of the book are to establish a unifying scientific approach to IR - a synthesis based on the concept of IR interaction and the cognitive viewpoint; to present research and developments in the field of information retrieval based on a new categorisation; and to generate a consolidated framework of functional requirements for intermediary analysis and design - the Mediator Model. The introduction describes the aims and the organisation of the contents, including an outline of the original contributions to the field of IR presented in this book. 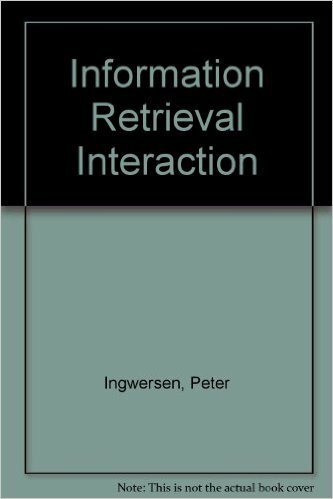 IR interaction is defined as the interactive communication processes that occur during the retrieval of information by involving all the major participants in IR, i.e. the user, the intermediary, and the IR system - the latter consisting of potential information mainly in the form of text and text representation as well as the IR system setting, e.g. database structures and retrieval techniques. By applying the cognitive viewpoint as an epistemological foundation for IR research it becomes evident that one must take into account the variety of states of knowledge associated with these major participants in information retrieval interaction. Hence, IR interaction implies a cognitive holistic turn in IR research. Peter Ingwersen is a Professor emeritus in the Royal School of Library and Information Science at the University of Copenhagen. 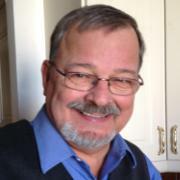 His primary fields of research are Information Retrieval Interaction, IR models & evaluation methodology, relevance typology, Information Science, Research Evaluation, scientometrics, bibliometric methods, and webometrics.